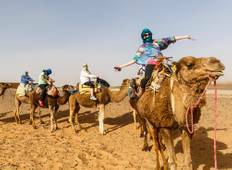 "I definitely fell in love with Morroco, and met some lovely people! Rashid was a..."
"the trip was exactly what I thought it would be: intresting , colorful and well organized"
"Wonderful country with lots to see. Tour was well planned. Felt well looked after..."
"Everything was very well organised from start to finish. Mohammed was very friendly..."
"Great time. Really busy and early mornings but 100% worth it!! You get to see a lot..."
"We just came back from this tour. 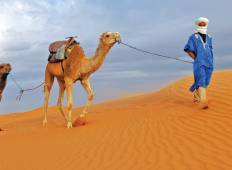 Morocco is an amazing country, I think everyone..."
"leave the train out. it was a bad experience. this was the only wrong with the trip." "The biggest advantage of the tour IMHO was that it allowed us to see much more of..."
"I had high expectations as my first Intrepid tour(in Peru)was excellent and I was..."